Hey guys! If you’ve been following me on Instagram, you would have already seen that I’ve been experimenting with some Luxe Tats sent over by Kookii B and they are seriously getting super addictive! They are simple and easy to apply and I am extremely surprised how long they last! 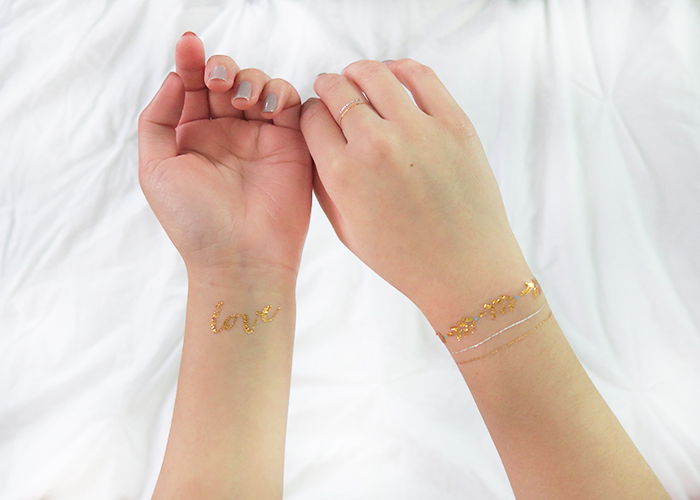 One thing I really like about the Luxe Tats are that they can act like simple accessories with a lot of freedom; as they are only temporary, these are ideal for people like myself who cannot commit to getting the real deal. I personally think that these would look great whilst on the beach, because who would stack on jewellery whilst going for a swim or a tan? These are also the perfect accessories for the up coming festival season; a cute way to spice up an outfit, and of course if you’re going to be jumping up and down going crazy, ain’t nobody got time for necklaces and bracelets getting tangled and flapping around everywhere. If you guys are interested on getting your hands on some of these yourself, use my discount code: Louiserocks to redeem 10% off! And enjoy looking glam for the summer! 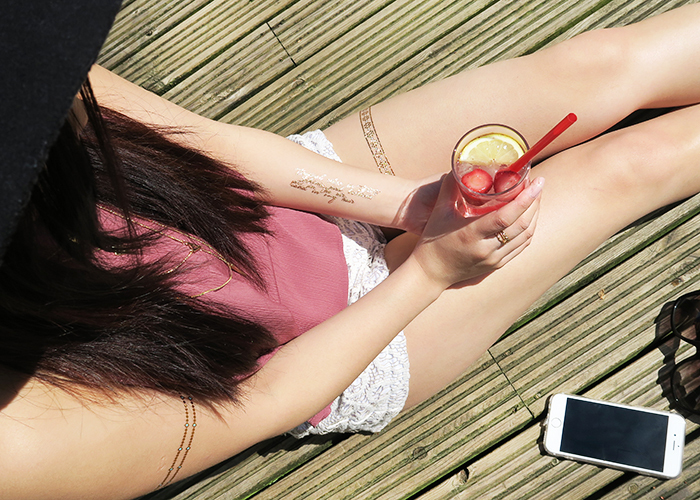 I love these tats Louise, your outfit is super cute! I wore some when I went to Ibiza and they're so fun to dress up an outfit. Hehe! I've been loving them too! Can't wait to take them on holiday with me! Love your post Louise! So glad you had fun with them! They are seriously addictive! Embrace the summer and hope you'll be able to wear them more often!